Screen time is a hot topic. Just about every magazine, blog, and newspaper has an article about screen time. Usually, you read about the many negative effects of screen time which are a reality that I hold dear, but this article is about the many benefits. Screens are a part of our daily life nowadays; so, I think we need to use them in moderation and emphasize their good. 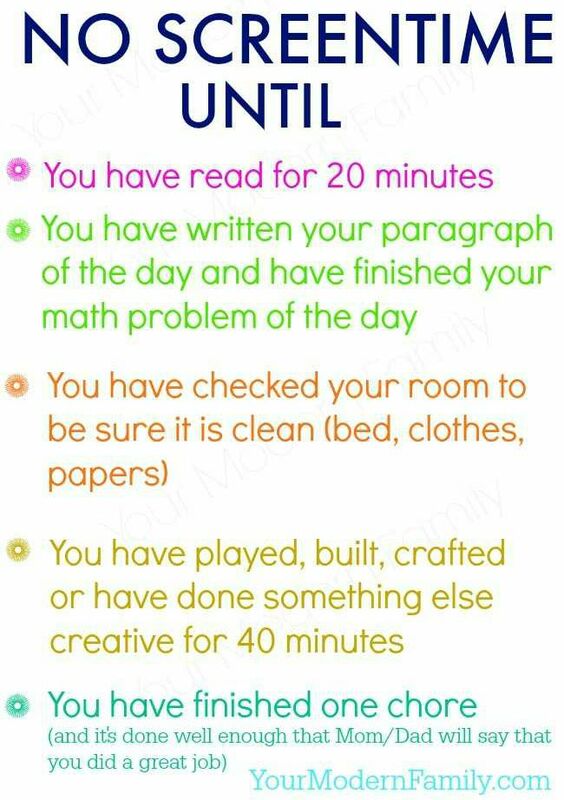 I used to be an anti-screen time mom. I’m a reading advocate. 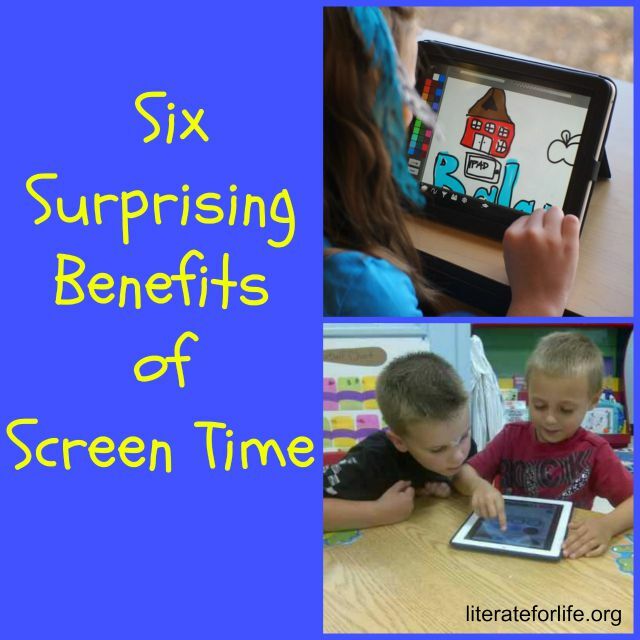 However, I’ve learned that screen time has many benefits. Our children need to learn and utilize screens to engage in the following life skills: e-mail, text messaging, video conferencing, and creating assignments for school. I love to be able to keep in touch with my children through text messages. This is a beautiful way to use technology as a tool. For some children, keyboarding is an easier way to get their thoughts on paper. Having access to screens encourages writing. Additionally, these free writing web sites inspire kids to write. Plugged In This site provides practical advice for TV, movies, games, and books. You can read the objective reviews and decide with your children which movies, books, games, and TV shows you can watch. 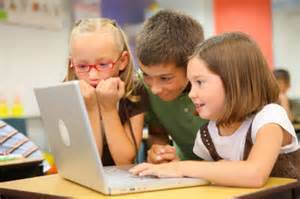 Common Sense Media Get answers and ask questions about anything and any age dealing with screens. When my children were small, they had one hour of screen time a day. This is what our family decided. We had them set a timer and adhere to the rule. If not, they lost their screen time for the following day. Additionally, we let them earn screen time. For every minute that they read a book, they earned a minute of screen time up to a certain limit. This really inspired them to read, and they earned more screen time. Setting up boundaries is an important aspect of life. Reading and learning about screen time guidelines is a great place to start when determining your family’s boundaries. 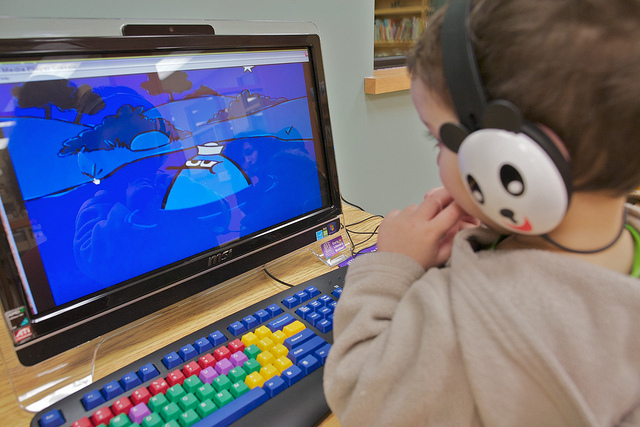 There are undeniably many educational websites and apps for kids. It teaches our children to do their chores and take care of their responsibilities first. It also comes with a free printable. 🙂 Even though screen time has many benefits, it is up to us parents to be good role models limiting our screen time usage while encouraging our children to read, get out in nature, and be active. One way to ensure that your children have screen time in moderation is to log the amount of time they spend on screens and to follow guidelines that your family has established. You can use the Let’s Move screen time log to track how much time everyone is spending in front of a screen. Screens are a part of our reality; they aren’t going anywhere. So, let’s embrace the benefits and be sure to use screens in moderation for the health of our children and ourselves. 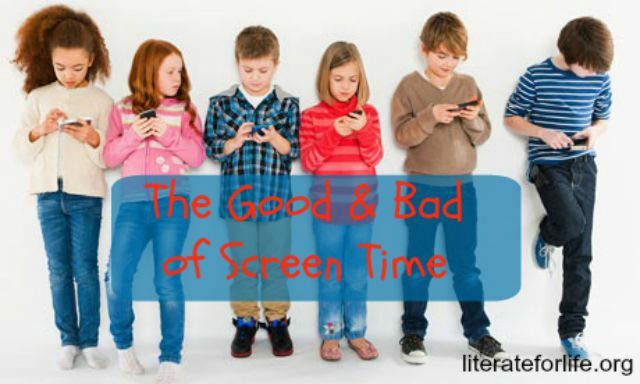 I find the issues of screen time to be quite complex – I agree with your list here. I see in my own teenagers a fine line between them being inspired with productivity and creativity and spiraling down to a mindless-blob. I also believe that parents need to come to terms with technology because just being critical is going to make our older kids tune out which isn’t helpful! You are right. It is important to find a balance with screen time. I think it is also important for us parents to role model moderation with screens too. 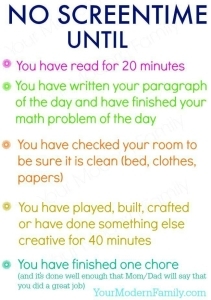 I love the idea of earning screen time by reading or doing something else productive! Great post, thanks for sharing at our share day! Thanks for having a share day.